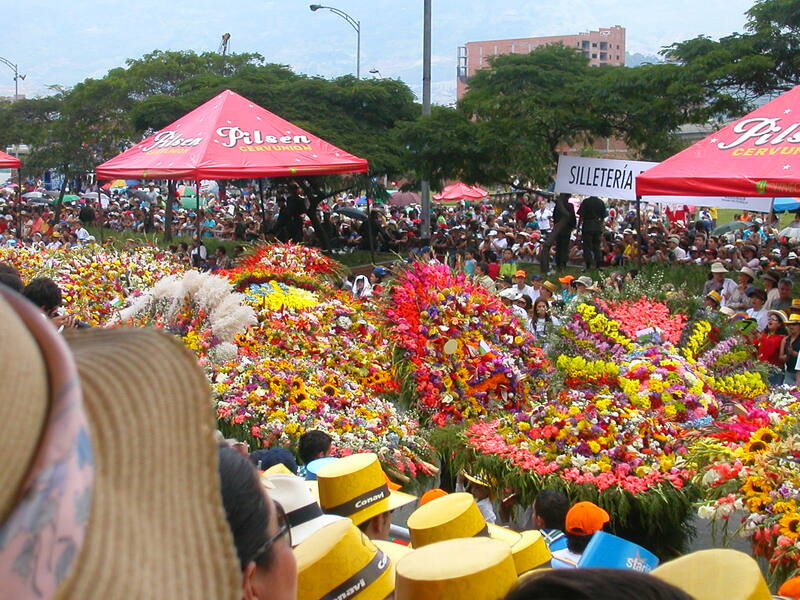 During the time I lived and worked in Medellín, Colombia, the flower festival (La Feria De Las Flores) was an event I marked on my calendar and circled numerous times. There was so much to look forward to: taking in all the varieties of beautiful orchids at the Jardín Botánico, strolling in San Alejo Market munching on slices of salted green mango dripping with fresh lime juice, staring in awe at the polished, well-groomed horses prancing down the dirt road. 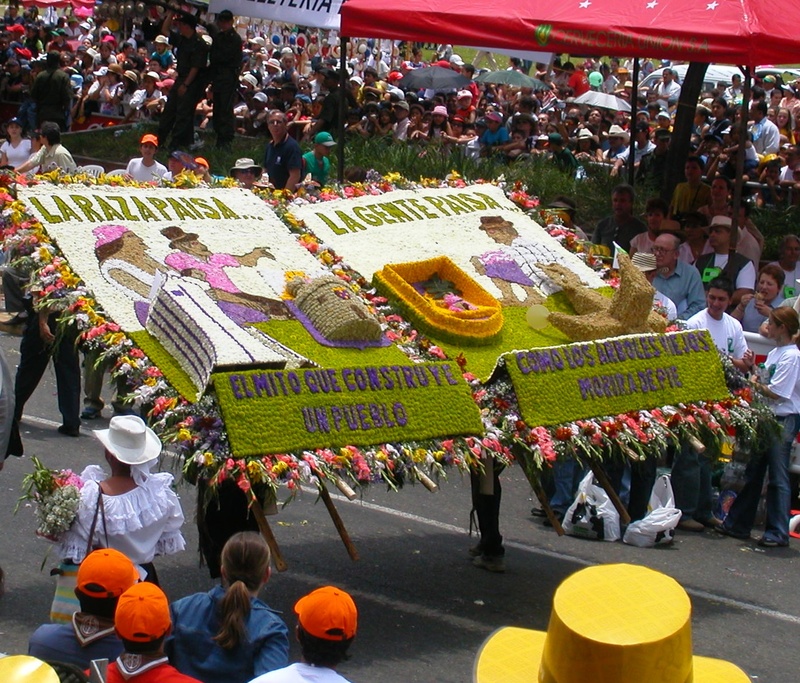 However, it was the breathtaking flower parade passing through the downtown area that I mostly looked forward to. 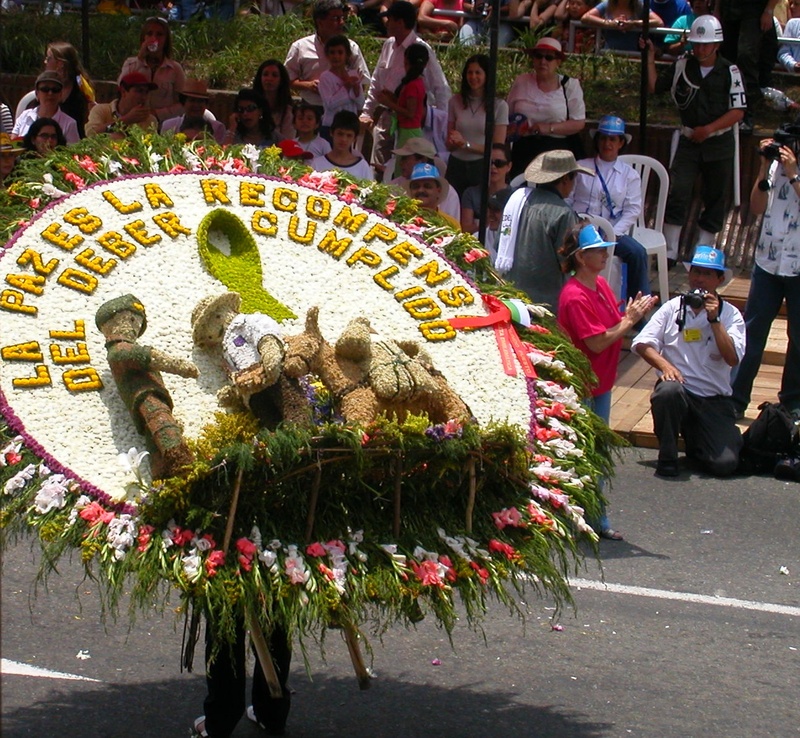 Called the Desfile de Silleteros, this amazing event features the best flower growers the region has to offer. 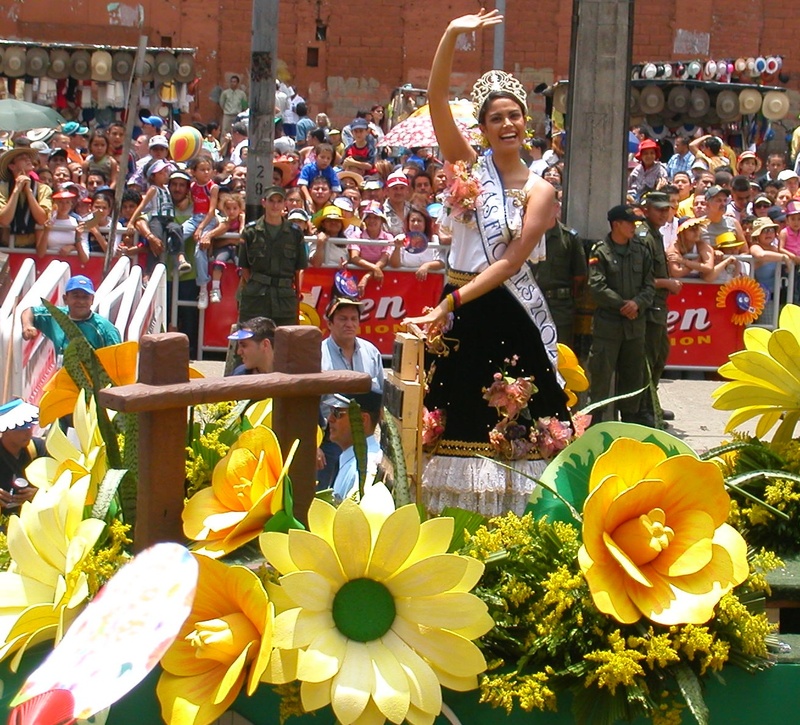 Cool Fact: The United States imports 70% of its fresh cut flowers from Colombia. The word silletero comes from the word silla, which means “seat” in Spanish. During colonial times, slaves and other servants strapped wooden chairs onto their backs in order to carry Spanish nobles, children, and produce up the rocky hills and mountains. 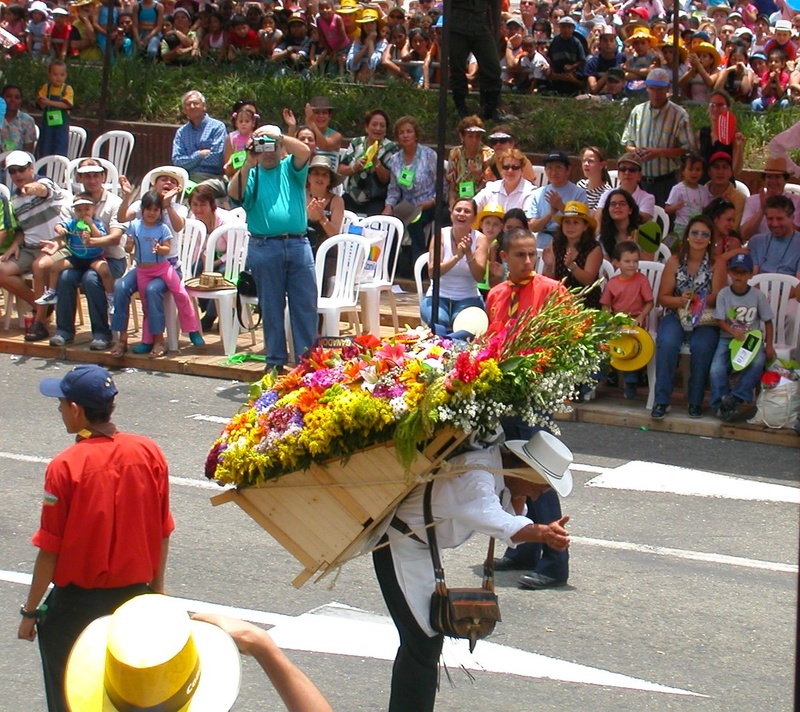 Over time, the term silletero was applied to any person carrying a wooden contraption filled with flowers from farm to city. 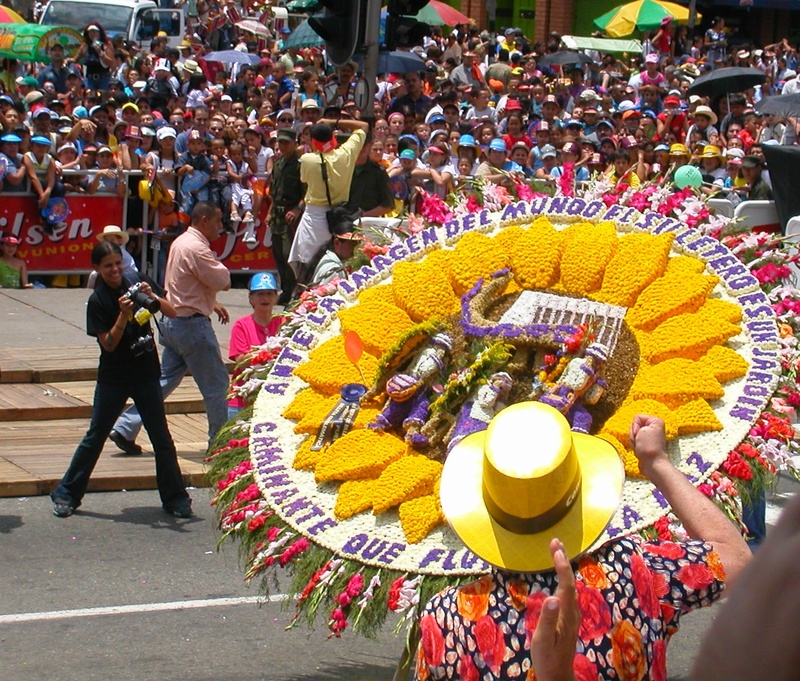 In preparation for the parade, families combine their profound knowledge and artistry to create elaborate flower arrangements which depict stories of life history, land, and culture. 30-70 different kinds of flowers can be included in a silleta, such as orchids, chrysanthemums, carnations, lilies, sunflowers, and roses. The outcome is absolutely mind-blowing. 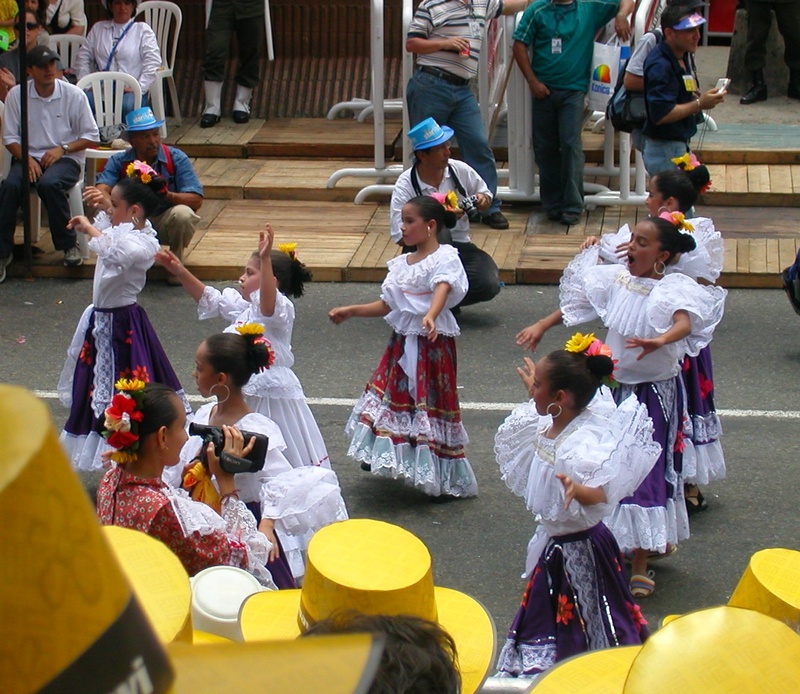 The desfile (parade) consists of school marching bands, talented musicians, and spirited dancers. 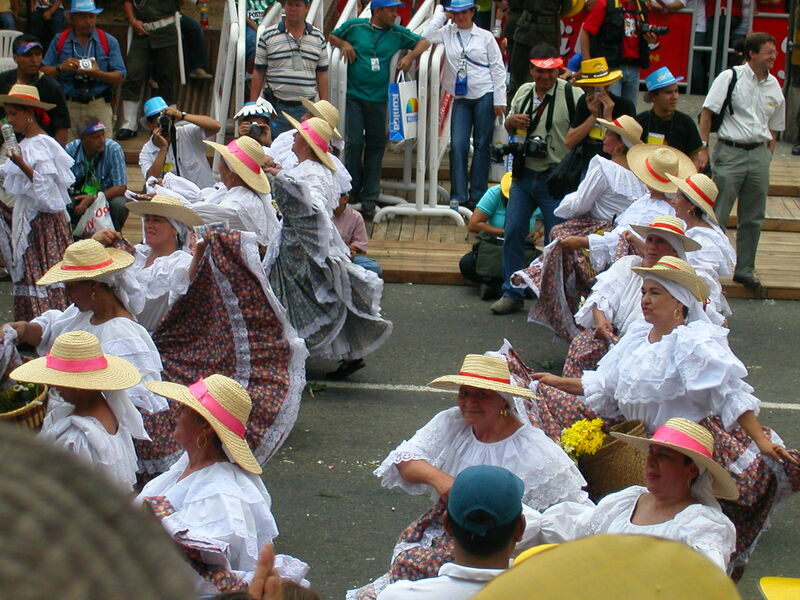 Beautiful women brandish flowing skirts which showcase the Colombian national colors. 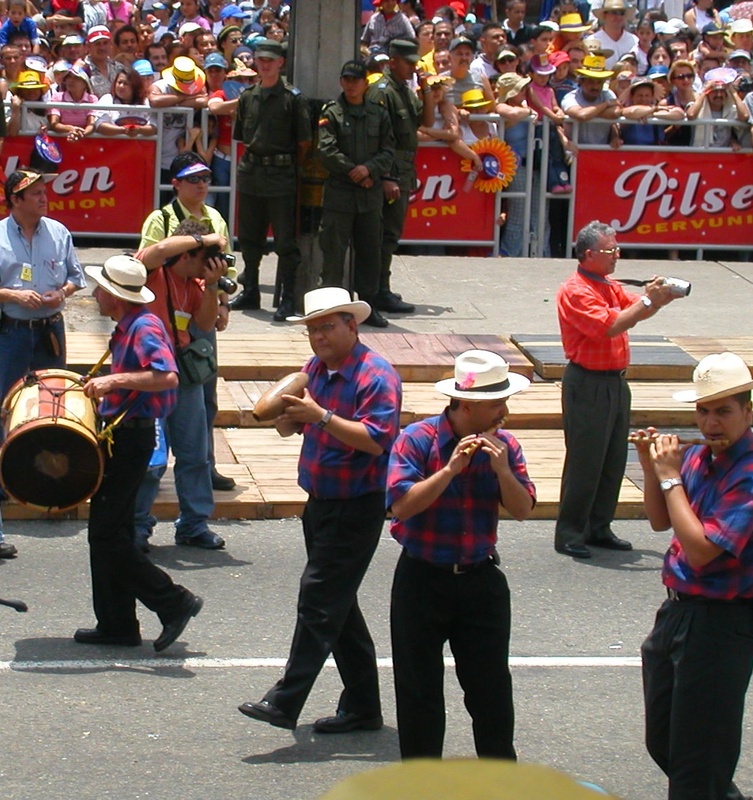 Strains of cumbia and vallenato fill the air. 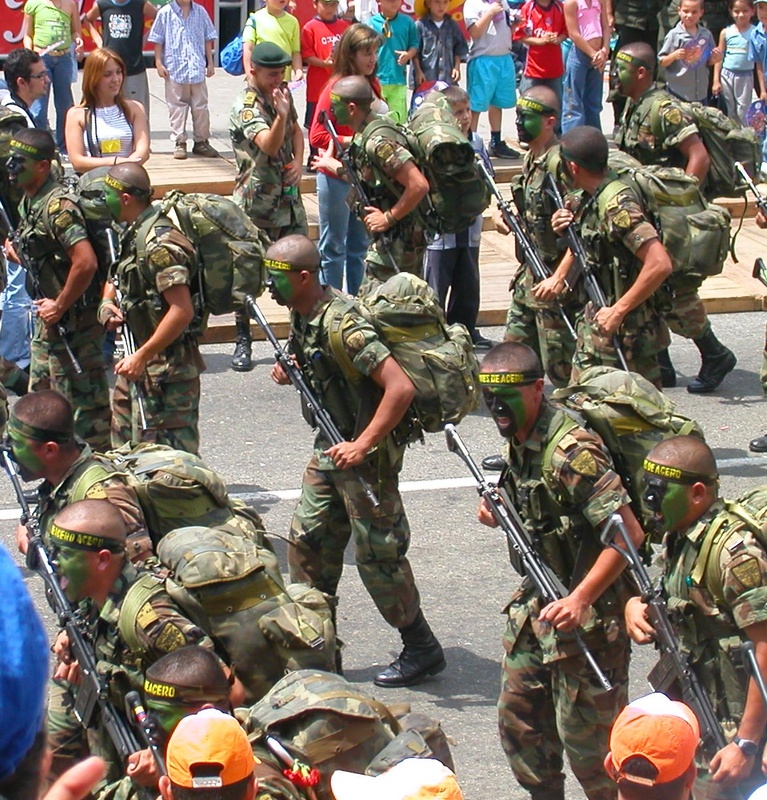 Even the military get involved, jogging in synchronized fashion in camouflaged gear. Then come the silleteros, first a few displaying simple flower patterns, then larger groups showing off more complex flower designs. It is obvious who the real stars of this show are. Carrying the flowers is not easy. Some silletas can weigh up to 100 pounds (around 45 kilos). 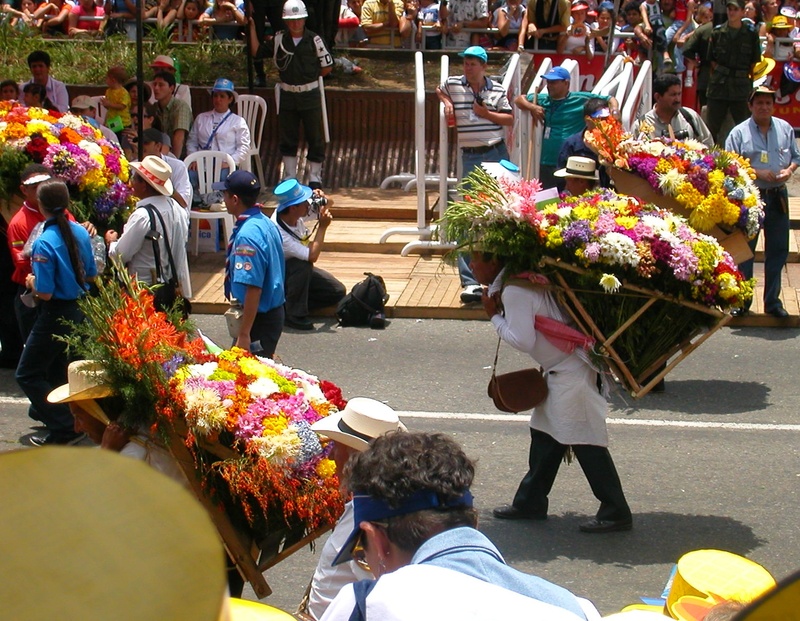 I was relieved to see that there were assistants walking alongside each man and woman brave enough to carry these flowers in the sweltering heat. 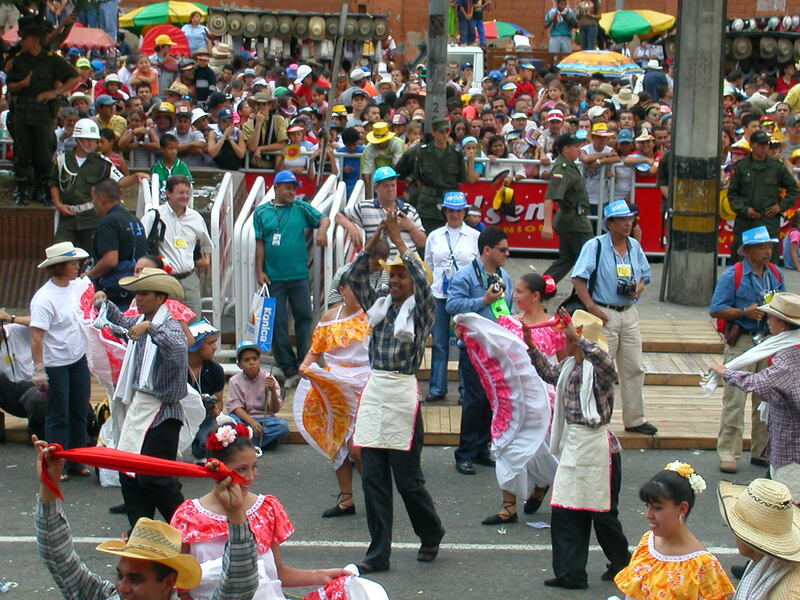 Finally, the street is completely filled with dynamically arranged silletas, to the point it is difficult to see the people bearing them anymore. It is truly a sight to behold. Proud Antioqueños and thousands of visitors from around the world revel together in this sublime moment of joy, inspiration and pride. Tip: The festival lasts for ten days and takes place around late July and early August. Be sure to make living accommodations well in advance. 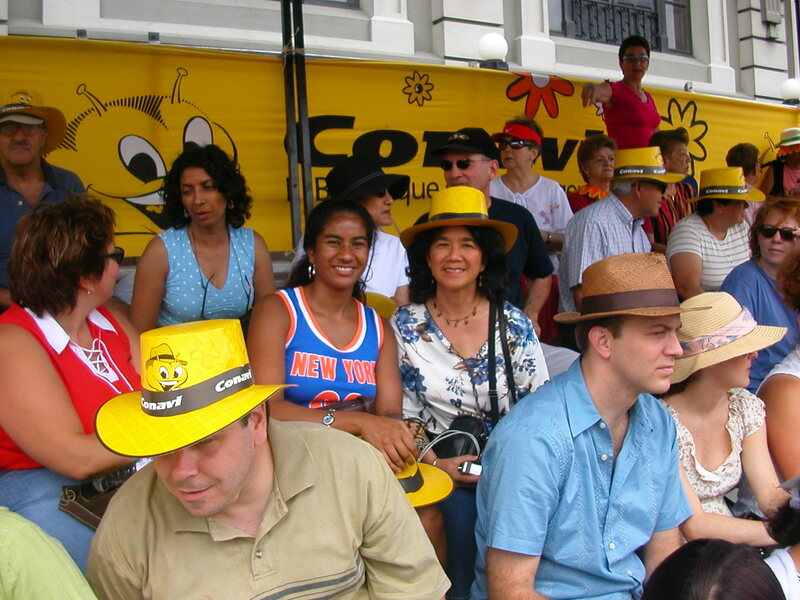 Arrive early for the parade; even though it starts around 2pm, the stands lining the streets fill up quickly. 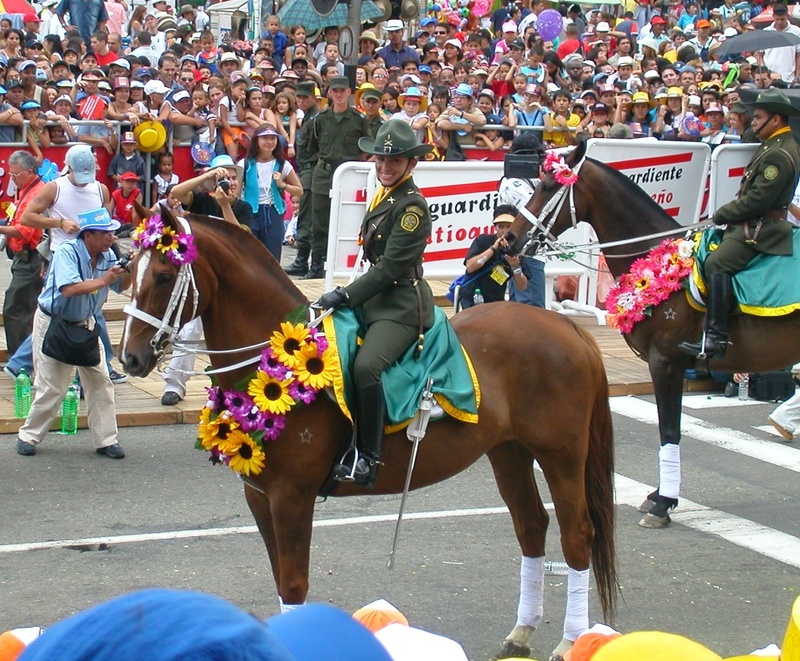 This entry was tagged Antioquia, Colombia, Cut flowers, Festival of the Flowers, Floristry, Flower, flower festival, Flower parade, Medellin, silletas, silleteros, United States. Bookmark the permalink. This is truly NOT to be missed! I was there and if given the opportunity, I’d like to experience it again. I love how informative your posts are! I enjoy being entertained and learning a little more about the culture. I definitely want to go to Colombia in the near future and I’ve heard so many good things about Medellin. Thank you Alyssa! Let me know when you’re planning your trip to Colombia. I’ll give you all the must do’s!